Border will host their sixth successive SA Rugby Women’s Interprovincial final on Saturday, 29 September, after another memorable season in which they finished the pool stages unbeaten. The women from East London had to dig deep for the 26-12 victory in their final pool match against Free State in Bloemfontein as the hosts produced their most compelling fight of the season, which saw the sides enter the break level at 12-12. But while the visitors did well to capitalise on their chances, as they increased their try tally to four, while Springbok Women’s Sevens captain Zintle Mpupha kept the scoreboard ticking thanks to her 11 points, Free State made mistakes at crucial times, which cost them dearly. 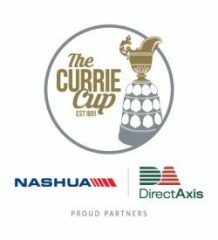 However, Border will only know next weekend who their opponents will be after the match between defending champions, Western Province, and Eastern Province, had to be postponed. The defeat for the Bloemfontein outfit left them at the foot of the A Section log, and with promotion-relegation in play this season, it means they will drop to the B Section next season, while the B Section winners will be promoted to the A Section. In the other A Section match, KwaZulu-Natal overturned an 8-5 halftime deficit against the Blue Bulls to cruise to a 36-13 victory in Durban, with Bok Women’s Sevens player, Zinhle Ndawonde, and Ntabiseng Ncalane each contributing two of the team’s six tries. The KwaZulu-Natalians’ strong defence limited the visitors to two tries by Chantel Dikgale and a penalty goal. The result saw KwaZulu-Natal finish the pool stages in fourth place and the Vodacom Blue Bulls fifth. In the B Section, the Xerox Golden Lions booked their final berth against Boland as both sides completed the pool stages unbeaten to finish as the log-leaders in their respective groups. The Golden Lions powered their way to a comprehensive 52-12 victory against Limpopo in Polokwane, after cruising to a 33-0 halftime lead, while Boland had to work hard for a 17-10 victory against defending champions, SWD, in Grabouw in a do-or-die encounter. Both teams entered the match knowing that the winning side would progress to the final after bonus-point wins in their first two league matches. In the other B Section encounter, Leopards defeated the Pumas 45-14 in Middelburg with Verana van Heerden and Khumo Sefako contributing four of the Leopards’ seven tries.